Definition at line 3767 of file commctrl.h. Definition at line 3771 of file commctrl.h. Referenced by addItem(), COMBOEX_GetItemA(), getItem(), setItem(), and test_notify_proc(). Definition at line 3772 of file commctrl.h. Definition at line 3775 of file commctrl.h. Definition at line 3769 of file commctrl.h. Referenced by addItem(), COMBOEX_GetItemA(), getItem(), and setItem(). Definition at line 3774 of file commctrl.h. Definition at line 3773 of file commctrl.h. Definition at line 3776 of file commctrl.h. Definition at line 3768 of file commctrl.h. 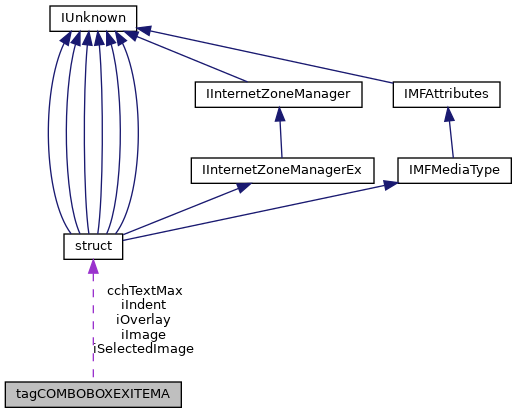 Referenced by addItem(), COMBOEX_GetItemA(), COMBOEX_InsertItemA(), COMBOEX_SetItemA(), getItem(), and setItem(). Definition at line 3770 of file commctrl.h. Referenced by addItem(), COMBOEX_GetItemA(), COMBOEX_InsertItemA(), COMBOEX_SetItemA(), getItem(), setItem(), test_comboex(), and test_notify_proc().